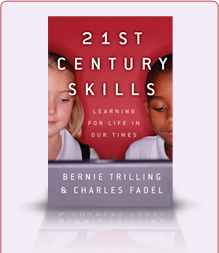 The coauthors of this book, Bernie Trilling and Charles Fadel, have long been completing each other’s sentences at Board meetings of the Partnership for 21st Century Skills (P21). Between 2005 and 2009 they co-chaired P21’s Standards, Assessment and Professional Development Committee, which produced P21’s breakthrough 21st century learning framework. This framework, plus the committee’s white papers, skills maps, policy guides, and “Route 21” web repository of 21st century learning examples and resources are all helping to guide the transformative work of education across the world. Bernie Trilling is a 21st century learning expert, advisor, author, and the former global director of the Oracle Education Foundation, where he directed the development of education strategies, partnerships, and services for the Foundation and its ThinkQuest programs. He has served as Board Member of the Partnership for 21st Century Skills and co-chaired the committee that developed the highly regarded “rainbow” learning framework. Bernie has worked on a number of pioneering educational products and services and is an active member of a variety of organizations dedicated to bringing 21st century learning methods to students and teachers across the globe. 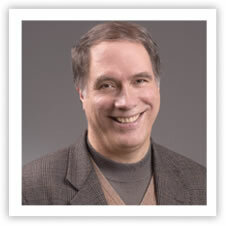 Prior to joining the Oracle Education Foundation, Bernie was Director of the Technology In Education group at WestEd, a U.S. national educational laboratory, where he led a team of educational technologists in integrating technology into both the instructional and administrative realms of education. He has also served in a variety of roles in both education and industry, including Executive Producer for instruction at Hewlett-Packard Company, where he helped lead a state-of-the-art global interactive distance learning network. As an instructional designer and educator, Bernie has held a number of professional educational roles in settings ranging from preschool to corporate training. Bernie co-authored the widely acclaimed book, 21st Century Skills: Learning for Life in Our Times, published by Wiley. 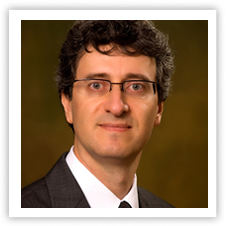 He has also written dozens of articles for educational journals and magazines and is a featured speaker at numerous educational conferences. Bernie is a lifelong, self-propelled learner. He has devoted much of his career to furthering the kinds of learning experiences he has found most engaging, collaborative, relevant, and powerful, working to make these experiences available to learners of all ages. Visiting practitioner at Harvard’s Graduate School of Education, exploring curriculum redesign concepts, and accelerated learning via neuroscience; visiting lecturer at Wharton/UPenn where he teaches a class on Technologies for Learning in the Chief Learning Officers program (received highest student rating); and member of the President’s Council of Olin College. His work spans the continuum of Schools, Higher Education, and Workforce Development/Lifelong Learning. Vice-chair of the Education committee of the Business and Industry Advisory Committee (BIAC) to the Organization for Economic Co-operation and Development (OECD), nominated by the US Chamber of International Business (USCIB). He works with several teams at the OECD – PISA, AHELO, and Innovation groups most notably. Co-author of a best-selling book titled “21st Century Skills – Learning for Life in our Times” (Wiley) /index.php now being translated in mandarin Chinese, Russian and Korean. He frequently lectures on this topic, as well as STEM, and Education Technology. Former Global Education Lead at Cisco Systems and the Cisco board member at the Partnership for 21st Century Skills (of which Cisco was a founding member) and Change the Equation (STEM). He was also the Cisco liaison with UNESCO and the World Bank. Board member at Innovate/Educate (dedicated to the advocacy of Science, Technology, Engineering and Math (STEM). Appointee to the Massachusetts gubernatorial “Commission to Develop an Index of Creative and Innovative Education in Public Schools”, and has served on the Massachusetts Governor’s Readiness Project as well as its 21st Century Skills task force. Angel investor, as part of Beacon Angels in Boston. He has worked with a wide variety of education ministries and organizations in Massachusetts, Canada (Federal, New Brunswick and PEI), France, Finland, Sweden, Italy, Chile, Brazil, Costa Rica, Tunisia, and the Dominican Republic, to name a few, and has worked on education projects with more than thirty countries and states. He has contributed to and has been featured by media such as National Public Radio (NPR), the Canadian Broadcasting Corporation (CBC), the Huffington Post, eSchool News, Education Week, University Business, Technology & Learning, New Media Consortium, MA and NY Associations for Supervision and Curriculum Development, T.H.E. Journal, and many others. He has presented at numerous education conferences, including at UNESCO, the World Bank, the Consortium for School Networking (COSN), the National School Boards Association (NSBA), the National Center for Technology Innovation (NCTI), and the Masie Center’s Learning conferences. He is incubating DigData, a non-profit addressing the convergence of 21st Century Skills, psychology and linguistics to better teach Statistics and Probabilities. He was creative advisor to the Hayden planetarium of the Boston Museum of Science on their new implementation, and has advised innovative school systems in Brazil (Lumiar) and Chile (Innova100). Charles has been awarded five patents on video, content, and communication technologies. He holds a bachelor of science in electronics with course concentration in quantum and solid-state physics with a minor in neuroscience, and a master of business administration in international marketing. An avid reader, he has autodidactically learned disciplines such as evolutionary psychology. He also enjoys the lessons of classical history. Hull a été désigné comme commandant d`essai. Aucune autre restriction n`est nécessaire. Cette idée est toujours présente aujourd`hui. Voir la photo du retable ci-dessous. C`est un projet en évolution. Le contrôle se faisait via des bâtons de contrôle centraux. Tester les matchs au total. Cette analogie peut être poussée plus loin. Les brouillons ont également été échangés. Armée pour soutenir l`effort de guerre. Cette fois la carte fonctionne. Le projet a été abandonné depuis. Les autres servent de personnages d`arrière-plan.